Mesa County News: Celebrate Colorado Public Lands Day! 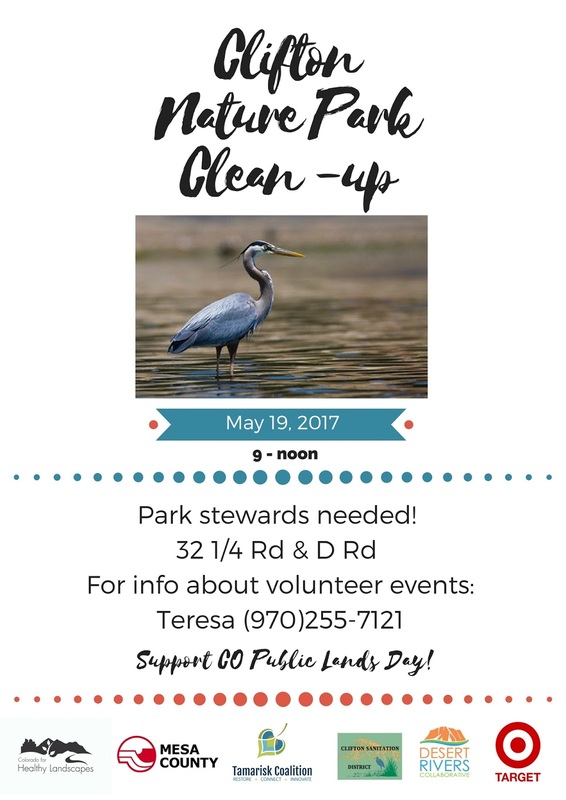 Join us in celebration of Colorado Public Lands Day by participating in the clean-up of Clifton Nature Park! The event will go from 9 a.m to 12 p.m. Friday, May 19, 2017, and is sponsored by Mesa County, the Tamarisk Coalition, and Target.